When you think of solar panels, you probably envision the fixed installations near a home, business or utility. There are many other possible locations for solar infrastructure, though, starting with vehicles of all kinds. Some all-electric cars, such as the fully specced-out “SL” models of the Nissan Leaf, include solar panels that capture sunlight and use them to power various accessories. Highways themselves could even be redesigned someday to passively generate solar power for the automobiles passing over them. Beyond cars, trains present considerable opportunities for cutting-edge solar power deployments. Powering these different modes of transportation will require high-quality panels that are also sufficiently rugged to stand up against rapidly changing environmental conditions. In Jinan, Shandong, a development group recently tested a kilometer-long stretch of pavement covered in solar photovoltaic (PV) cells. The PV layer was sandwiched between concrete on the top and insulation below. With an installed capacity of 800 kilowatts, it can generate 10 million kilowatt-hours of electricity annually while melting ice and snow on the highway. This power can be used by nearby lights, billboards and cameras. In the future, it may assist in the wireless charging of tomorrow’s electric vehicles (EVs). In Japan, Nissan has explored other routes for connecting solar power to the burgeoning EV market. Buyers of the 2018 Leaf have the option to set up a power purchase agreement with Ecosystem Japan and have solar panels installed in their homes. Such arrangements are worth watching as EVs gain traction from longer expected operating ranges and improved battery technologies in the year ahead. Electric locomotives are much more environmentally friendly than diesel-powered ones, which can expose riders to unusually high levels of certain pollutants. In the U.K., an Imperial College report estimated that new solar PV panels connected to suitable storage devices might be capable of meeting 10 percent of the power required for trains traversing the country’s DC-electrified tracks. Less utilization of the main grid. Lower costs and greater sustainability. Rail companies in India and Australia have also explored the possibilities of solar-powered trains equipped with their own panels. In India, the addition of solar PV panels to just one train is estimated to save 5,547 gallons of diesel every year, a savings equivalent to nearly $20,000. These panels do not yet propel the locomotive but merely power its fans, lights and comfort systems, underscoring the enormous opportunity to further curb operating expenses by switching to renewables. Trucking is a central driver of the U.S. economy, no pun intended. The prospect of trucks outfitted with lithium-ion (Li-ion) batteries has capture the imagination of automakers in recent years, with projects such as the Tesla Semi prototype making waves. However, a more practical use case in the short term might be to combine solar panels with Li-ion batteries and other power sources to support auxiliary systems within trucks, similar to the experiments with PV panels at Indian Railways. The electricity created from sunlight could reduce the strain on alternators and diesel generators. At the same time, it could save delivery fleets thousands of dollars yearly on battery replacements and related service calls. Special batteries are needed to power the liftgates on such trucks, but they often give out since drivers may have to turn off their vehicles while idling, leaving them with no power source to recharge a battery while it it’s in use. What options do you have for solar PV panels? No matter the use case, solar panels can only deliver maximum benefits if they provide acceptable outputs and aesthetically pleasing designs. 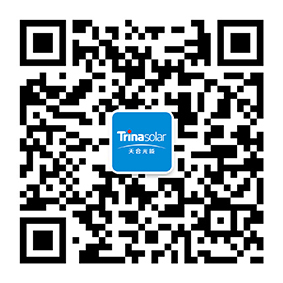 Trina Solar offers a broad range of services and solutions for your residential solar projects; learn more by visiting our main products page.